We were invited to a wedding, Sat 12 Dec 15. It was Juni’s cousin’s son whom we knew quite well so we had a mind to go. Problem was it was in Surabaya, East Java. Rather a long way to go just for a family event. So we decided to make a holiday of it. We made our arrangements through an Indonesian tour operator, Adventure Indonesia, and it booked all the hotels, paid all the other charges for excursions and entries to various monuments and provided the cars (there were two halves to the holiday joined by a train journey) with drivers and guides. Remarkably it all went like clockwork from the first pick up at Yogyakarta airport, through two 0400 starts to our delivery at Surabaya airport at the end of our holiday. Full marks. 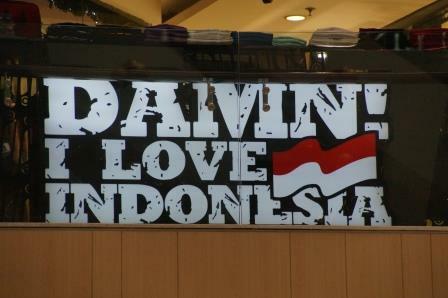 My first impression was that Indonesia had not changed. I lived there from 1976-78 (that’s some time ago) and have visited frequently, including a holiday a few years ago, since. But except for a quick visit in 2013 this was the first real visit for some time. After a while I realised that whilst many surface features haven’t changed (like becaks in the city, the Javanese mix of slower service than we’re used to in the west with incredible smiles and tolerance of our difference, and incomprehensible bureaucracy and officialdom) it is a place that has moved on. As a quick comparator I thought that Surabaya felt like the Singapore of 40 years ago. I feel confident that it won’t need another 40 years to emulate the Singapore of today. There’s important stuff that’s better. Toilets are generally clean and lack that terrible 3rd world smell that used to pervade. The roads are in good condition and there’s a move to putting pavements in place to separate traffic from pedestrians in the towns and villages. And some things are done exceptionally well like the way that visas were issued at the airport: no filling in forms they simply scan your passport. That seems to me like good common sense. I worry that such improvements in Indonesia are happening as we see corresponding deterioration in the UK. As it happens we were travelling at the beginning of the rainy season but we didn’t do too badly for weather and the sun shone most of the time and every time that we needed it. And because we were off season we got to stay at some super hotels without breaking the bank. We stayed at 6 in total, none of them disappointed and two were outstanding. One was the Majapahit in Surabaya, built by the same people who built Raffles in Singapore. It’s been renovated but not ruined with modern extensions and is one of the best hotels all round that I’ve stayed in. The other was the Tugu in Malang which is more than just a hotel. It’s an experience and staying there I think is like being an extra in an Indiana Jones movie. We also enjoyed some outstanding food by any standard at the restaurant Paprika in the Hotel Pheonix in Yogyakarta. Of course we went for more than just hotels and restaurants. We saw the Borobudur temple at sunrise, we visited the Dieng Plateau with its intensive agriculture, Hindu temples and hot springs, we visited the Prambanan Hindu temple complex and the Sultan’s Palace in Yogyakarta, we trecked across Sempu Island and we had another sunrise experience at Mount Bromo. Finally the wedding. It was in 3 acts. Act 1 was just a formal meeting of the families. Act 2 was the church experience, which we attended, and then Act 3 the grand finale for 500 people with a Chinese meal, stage, music, dancers, twin MCs, unlimited photo opportunities, dry ice, lights, balloons and confetti. A trifle OTT but we were there and it was an experience. Great holiday. It just shows that when you get opportunities you need to take them.